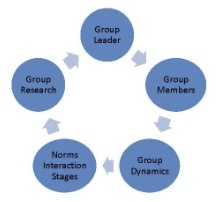 The American Academy of Group Psychology is an organization of psychologists who are ABPP Board Certified in the specialty of Group Psychology who have joined together to promote high quality services in Group Psychology to the public. The Academy also provides member services, promotes recognition of Certified Group Psychologists, and encourages those qualified by training and experience to become candidates for Board Certification in Group Psychology. The American Board of Group Psychology for Group Specialty Certification was founded in 1998. Once the founding members were certified, the Academy was formed to serve the public and the growing membership of group psychologists in the United States and Canada. These Group Psychologists are highly credentialed, often found in prominent positions in psychology including universities, government agencies, medical schools, correctional facilities, and private practice. The 14 specialties within ABPP have different combinations of governance–those boards that combine Academy and Board duties (such as Group Psychology), and those boards that separate the duties of the Academy from the Board (such as Clinical Psychology). Nevertheless, the intent of these organizations is to oversee the examination process and conduct board and academy business. An essential part of Specialty Certification, especially for Group Psychologies who lead groups with a variety of members, is attending to issues of Diversity including race, ethnicity, culture, gender, age, socioeconomic status, religion and spirituality, sexual orientation(LGBTQI), and physically challenged status.